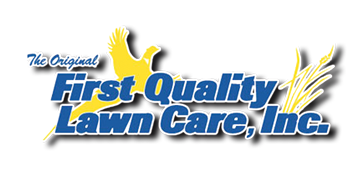 At First Quality Lawn Care, we are continually exceeding the expectations of our customers by providing uncompromising reliability and value. We realize that you have worked hard to obtain your home or business and we will give the surrounding landscape the attention that it needs so that you will have more time to spend relaxing with friends and family. We take pride in maintaining proper blade height and mowing straight lines so that your lawn will not only look better, but it will also be healthier. Aerating is a great way to improve the quality of the soil and root growth while allowing the root system of the turf to intake adequate amounts of water and nutrients. Crisp edges add an element to your lawn that can set it apart from the rest. Our edging services will ensure distinct edges along sidewalks, driveways, and curb lines. Weekly, bi-weekly, or monthly service contracts to maintain the landscape on your property. This includes pruning of shrubbery, hedges, and trees as necessary, as well as weed control in landscaped areas, and general landscape beautification. Mowing or maintaining undeveloped land areas. Turf needs the proper nutrients to survive and we can develop a fertilization formula that will help your grass grow thicker and greener. The process of power raking will help remove unwanted amounts of thatch from the turf and this is typically done in the early spring while the lawn is dormant. Power raking is recommended when lawn thatch levels exceed 3/4″. Dethatching brooms are used on thatch levels less than 3/4″. By using power blowers and getting our hands dirty, we can remove unwanted debris such as leaves and grass trimmings from lawn and landscape areas. Start up and winterizing of your sprinkler system. Repair and maintenance of all brands and systems. General turf or landscape oriented tasks.